Back in 2012, I was looking for a pasta recipe online and came across “Laura in the Kitchen”. I immediately fell in love with her recipes and watched several of her videos, dreaming of what some of those meals tasted like. The ones that I did try were divine. She’s very thorough, makes things so simplistic, and she gave me so many ideas as well as methods when it came to my own every day cooking. 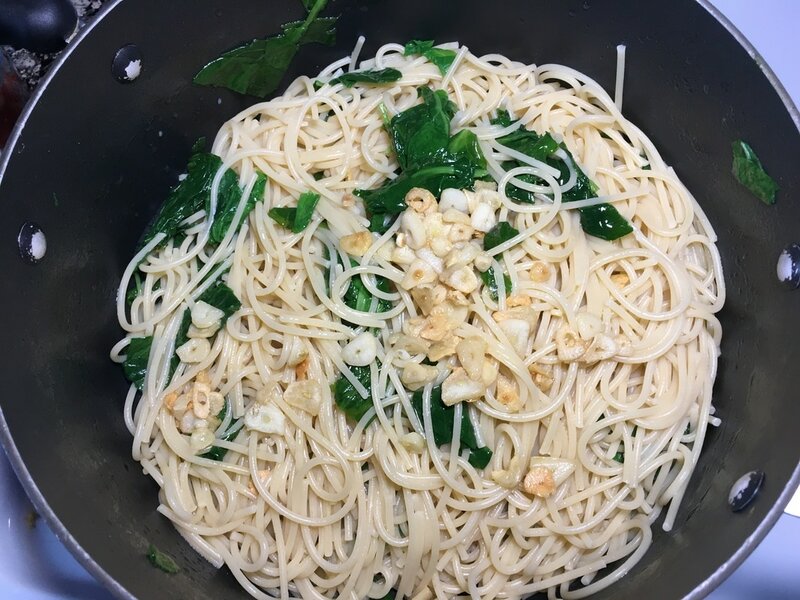 ​The very first recipe I tried out at that time was “Spaghetti Aglio e Olio”. 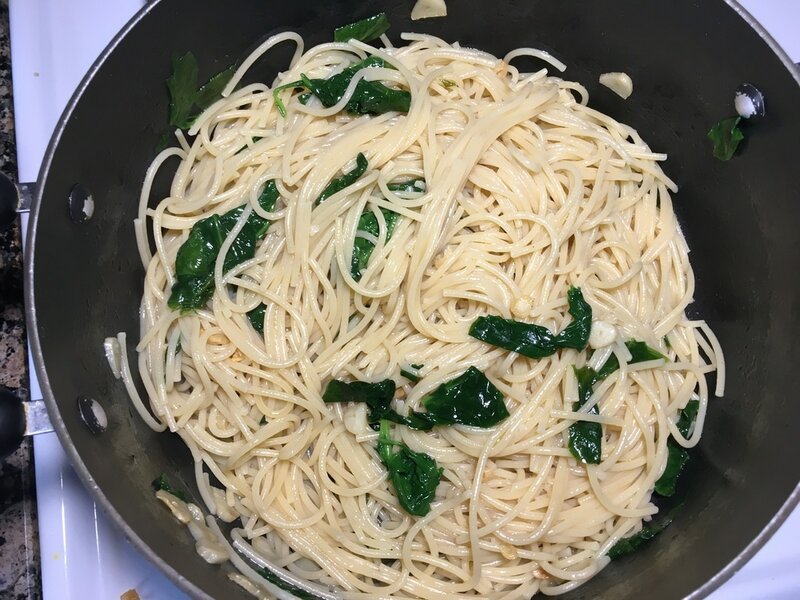 Now I have to admit, I did not follow that particular recipe to the T. I really didn’t want just plain spaghetti without any meat so I took her method and just rolled with it. I threw in a few extra things that I had in the fridge along with some chicken tenders and it was one of the best things I ever made. 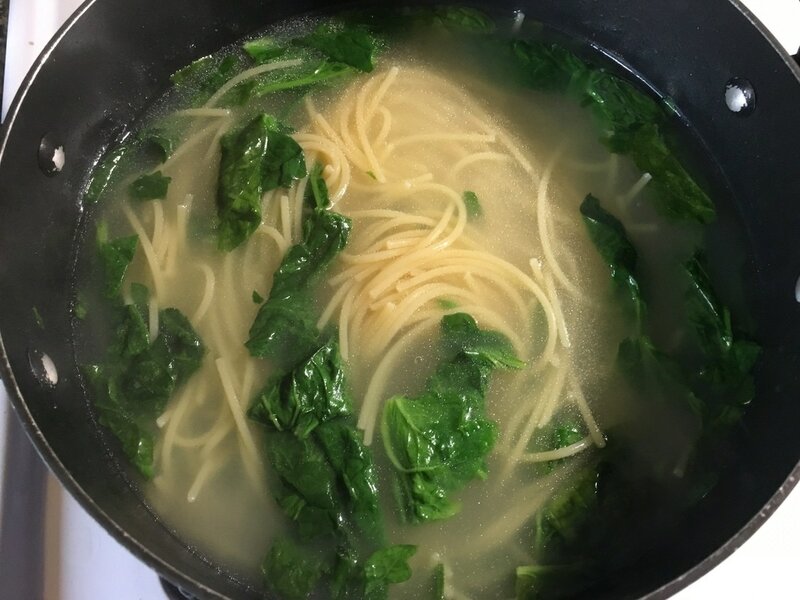 I’ve made this recipe time and time again and my husband absolutely loves it. He prefers it with shrimp, which is presented here. If you want the chicken version, just substitute the shrimp for chicken tenders/cutlets. This particular cut of chicken is much softer, cooks quickly, and accompanies this dish very well. ​1. 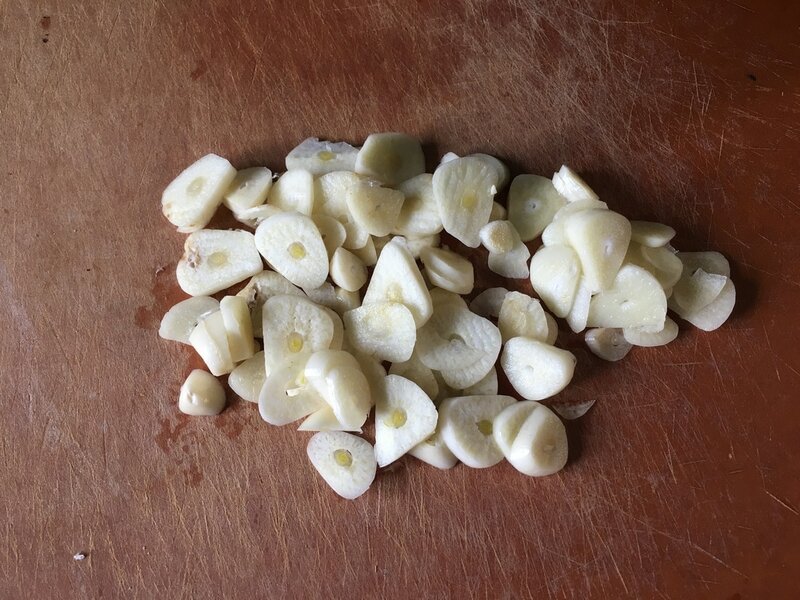 Thinly slice 5 – 10 garlic cloves. I’m a huge fan of garlic and I like to use a lot. 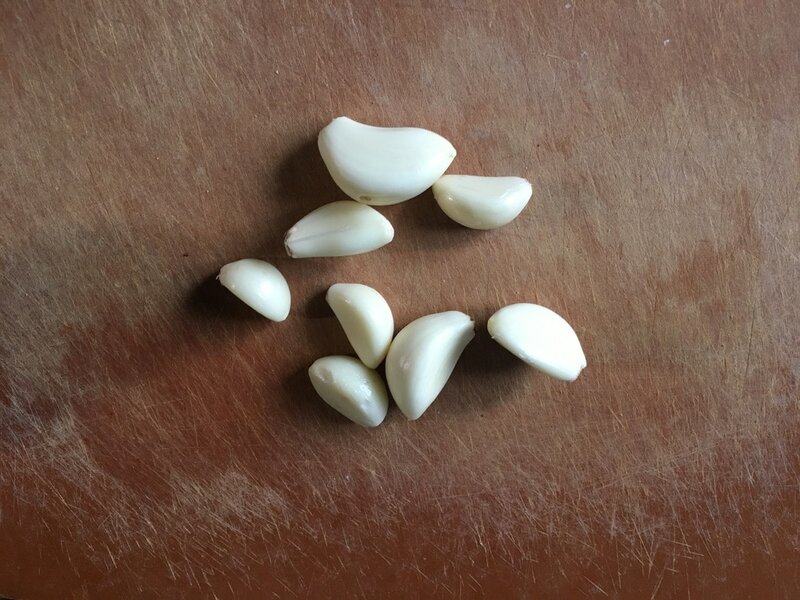 Larger cloves can be less while you’ll need more if they are small. 2. 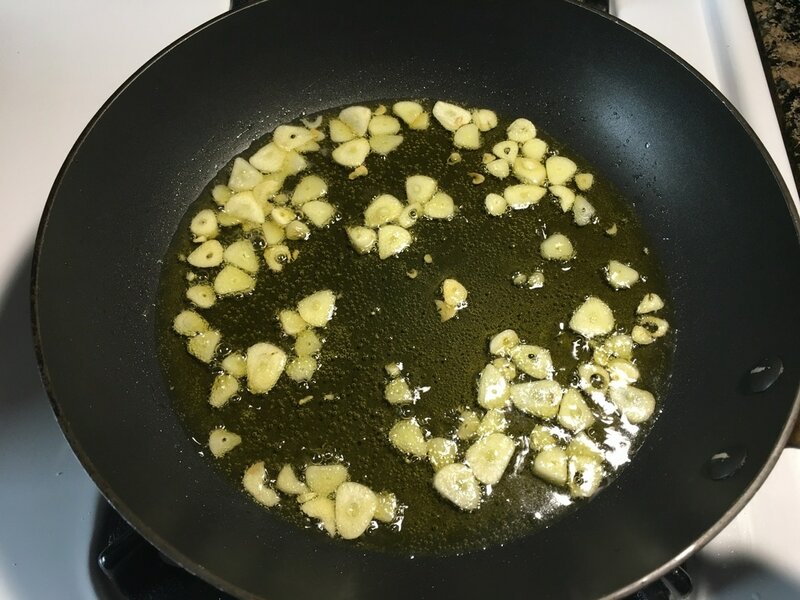 In a pan, add ½ cup of extra virgin olive oil and the sliced garlic cloves. Turn heat to medium low and let it start to sizzle. Be careful not to let the garlic burn or get too brown. 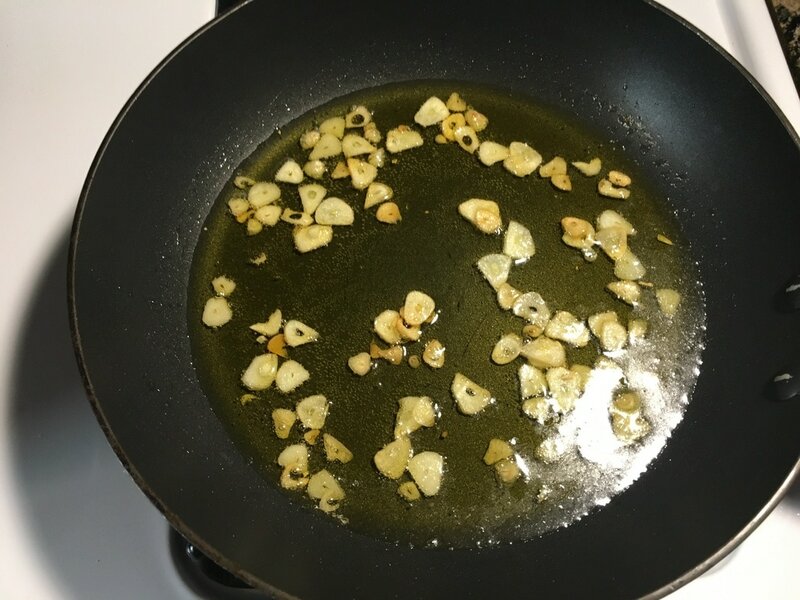 Once it starts sizzling, you can decrease the heat a little more to allow the garlic flavor to continue to infuse in the oil and avoid it from browning too quickly. Let it saute on this lowered heat for the duration of the pasta cooking. 3. Cook spaghetti according to package directions. 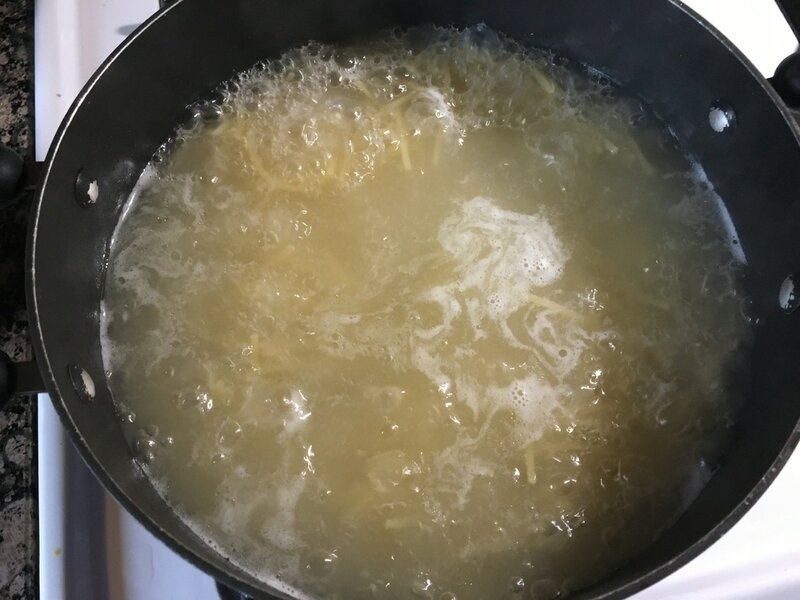 Be sure to salt the water and add about a tablespoon of oil to the water before cooking the spaghetti. 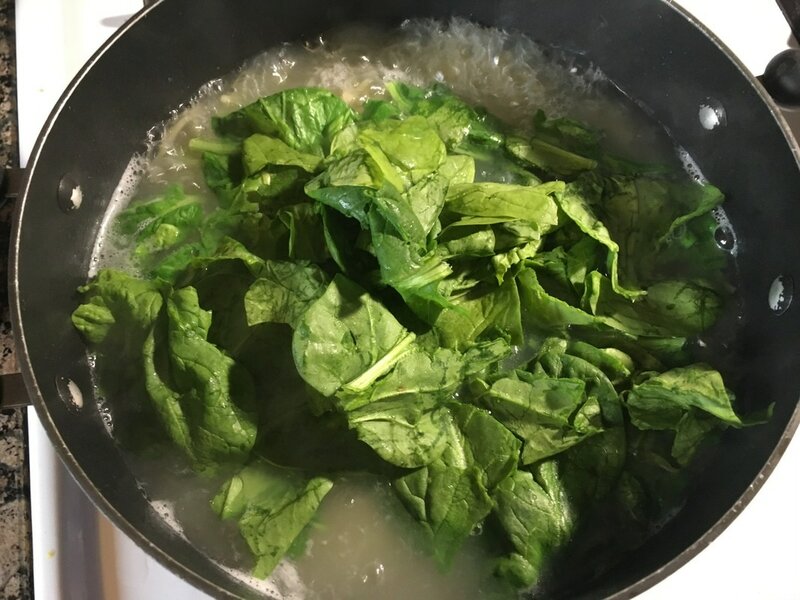 During the last minute or two of the spaghetti, add in about 2 cups of fresh spinach to the boiling pasta water. 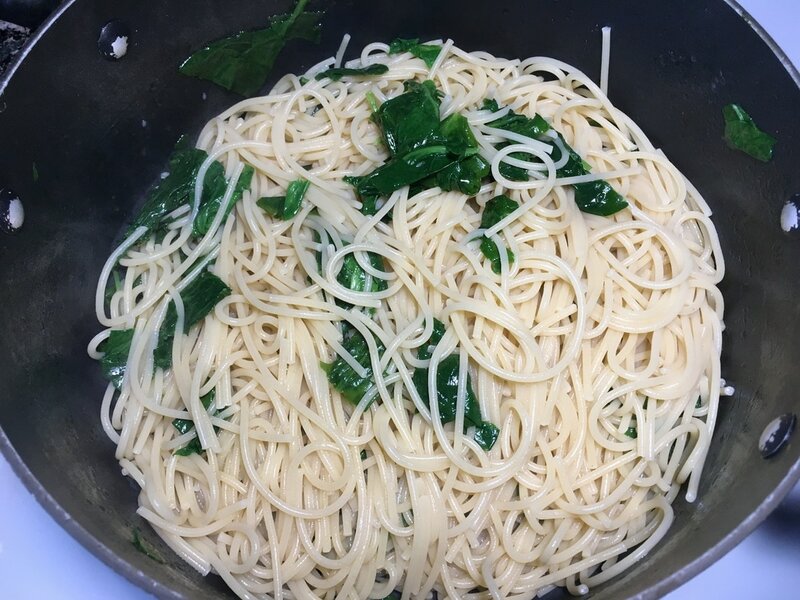 Mix thoroughly and finish cooking pasta. Once done, turn off heat, drain spaghetti and return to pot while still warm. 4. 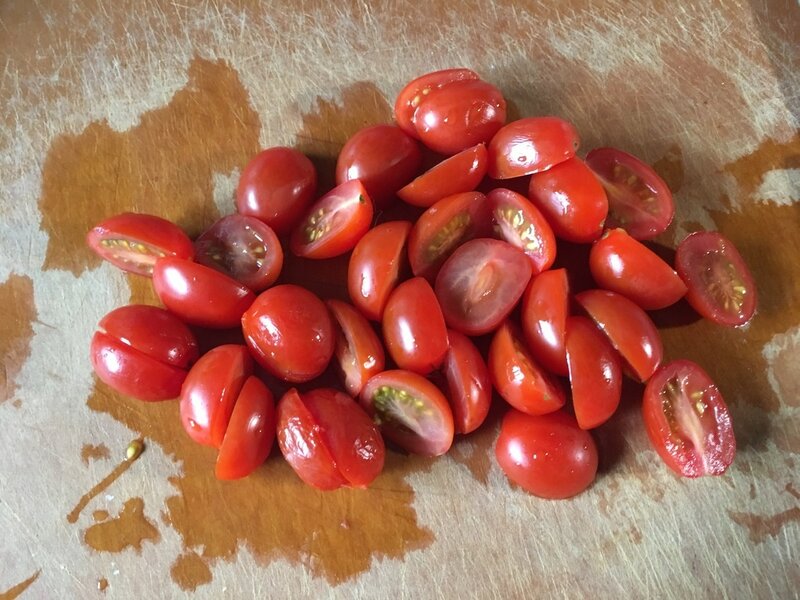 Meanwhile, as the spaghetti cooks, prepare cherry/grape tomatoes by rinsing them and cutting them in half. Set tomatoes aside. 5. 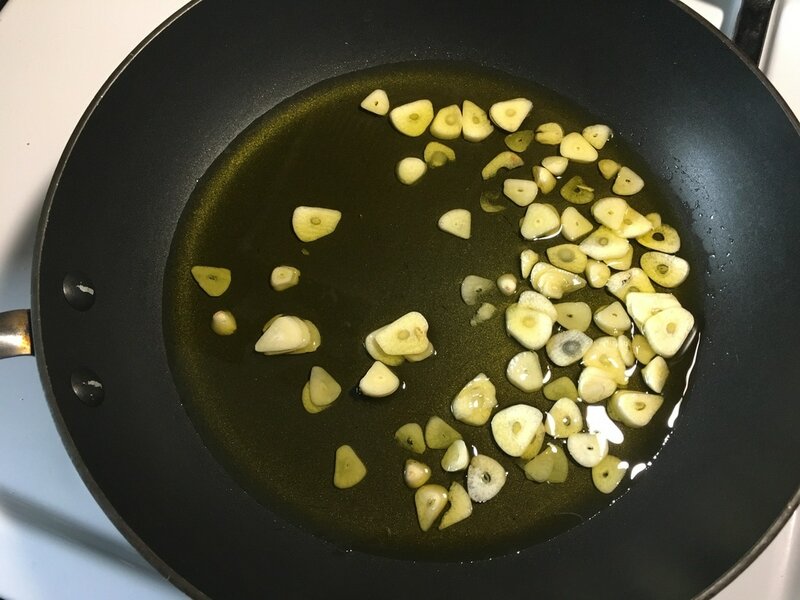 Remove oil and garlic from pan with a large spoon and transfer it to the spaghetti. 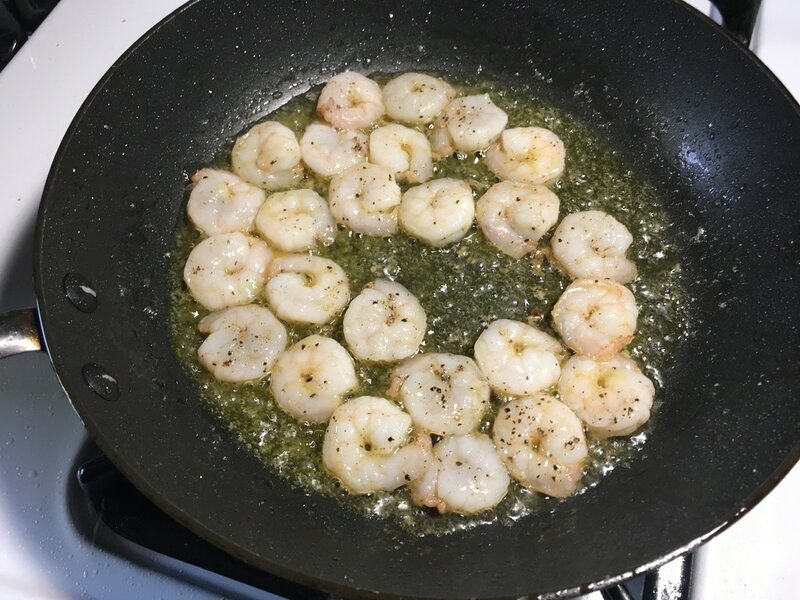 Leave a little bit of the oil behind in the pan to fry the shrimp in the following steps. Mix the garlic oil thoroughly in the spaghetti. ​Add Adobo, salt, and pepper to taste. Again, mix thoroughly. 6. 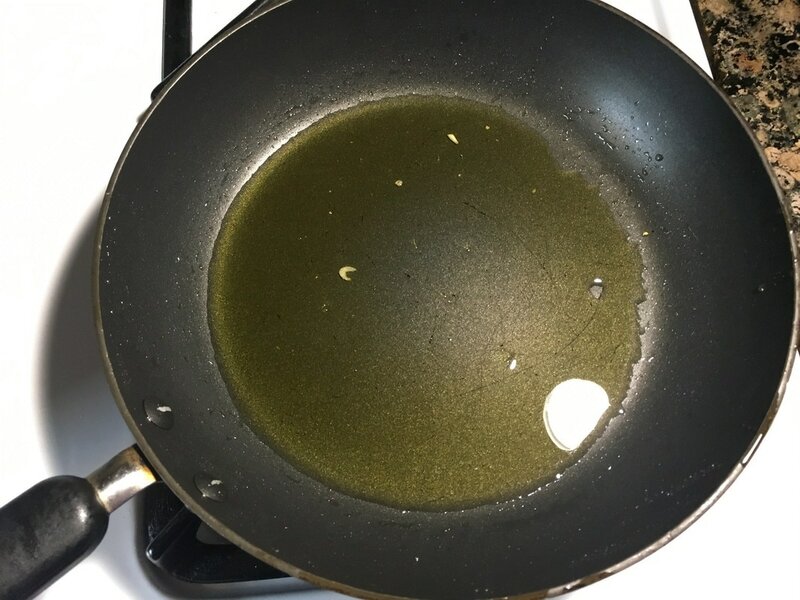 With some of the oil left behind in the pan, turn the heat to high. 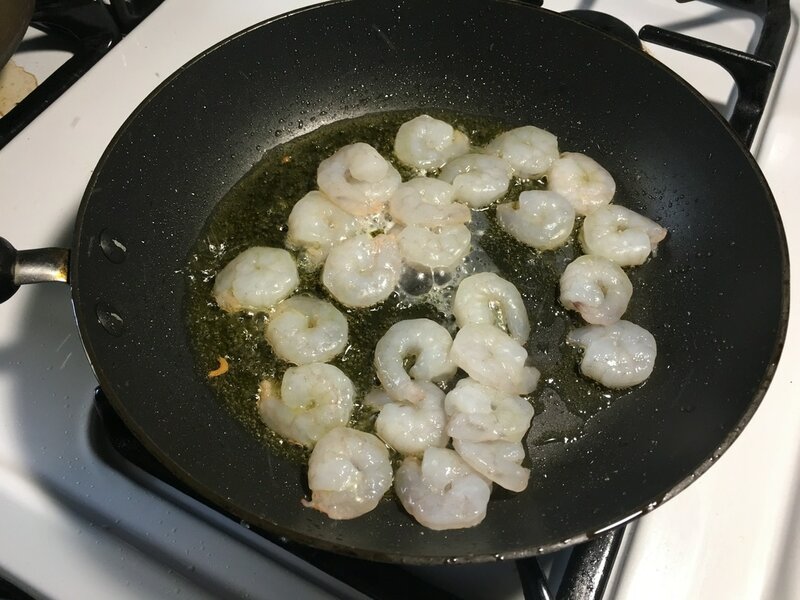 Once it reaches temperature, add the thawed shrimp. Oil may splatter so be careful. 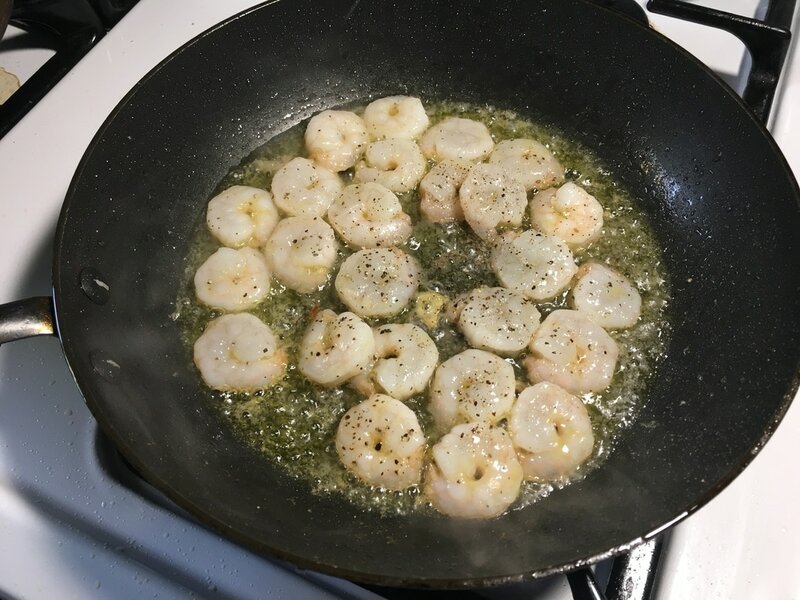 Add salt and pepper to taste and cook shrimp for about 2 – 3 minutes, just until it is no longer opaque. The larger the shrimp, the longer it may take to cook through. ​7. 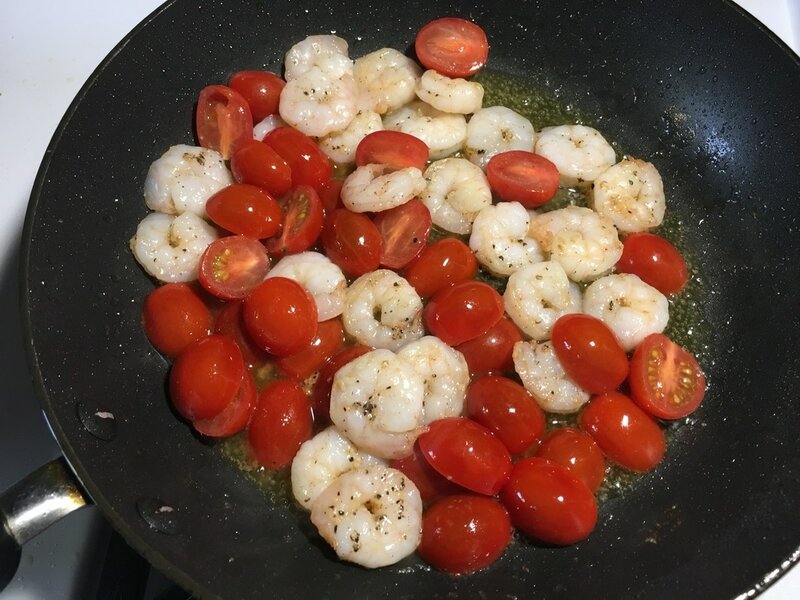 As soon as shrimp is cooked, turn off heat and add tomatoes to the pan. Mix to allow tomatoes to absorb some of the garlic oil and to warm up. Do this for no more than about 30 seconds. 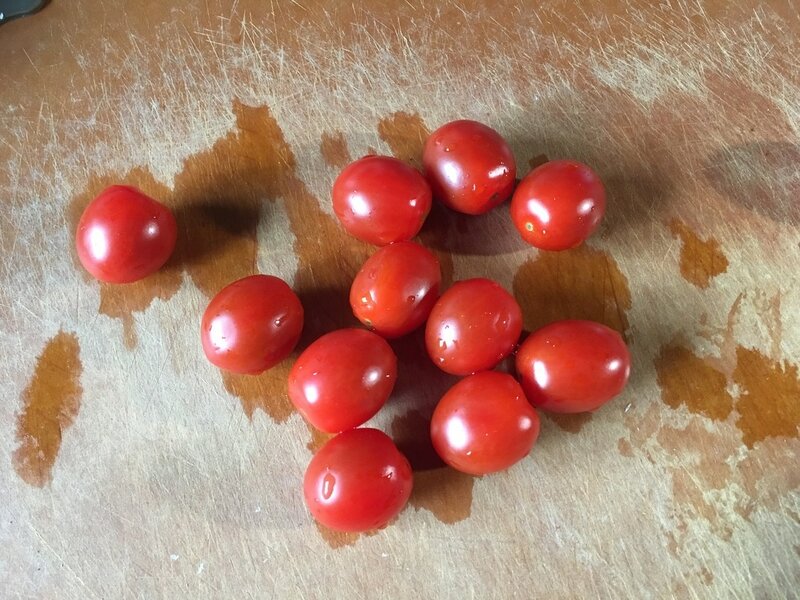 If left too long, tomatoes will break apart. 8. 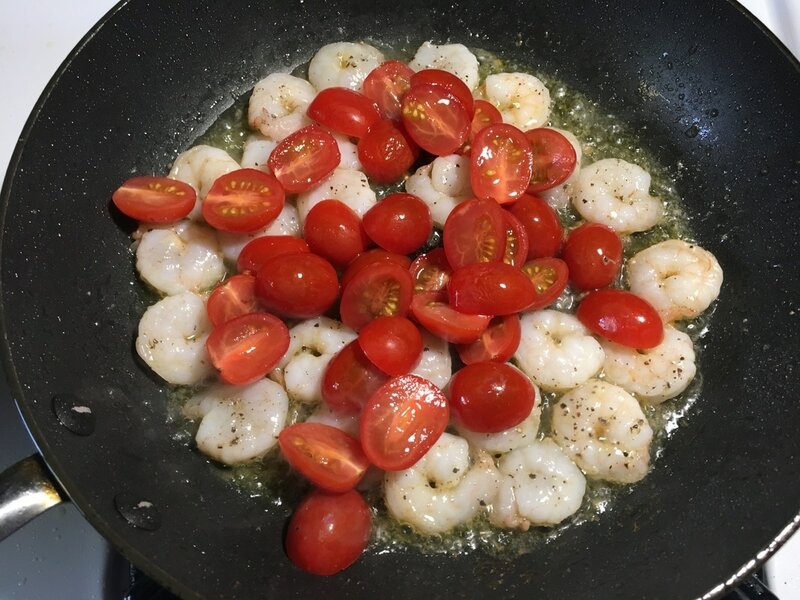 Add shrimp, tomatoes, and remaining olive oil to the pot with the spaghetti and mix contents thoroughly. 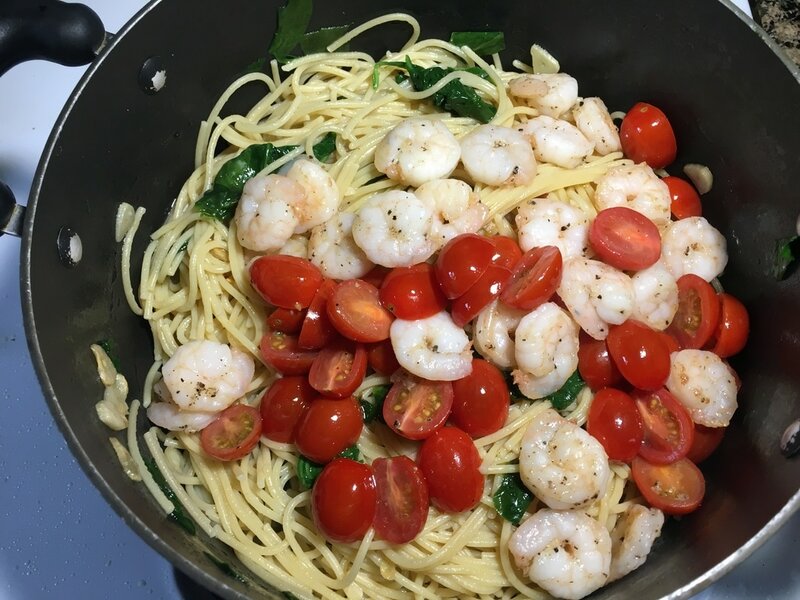 Garlic Spaghetti with Shrimp is ready to be served. *If desired, you can top it off with crushed red peppers and/or Parmesan cheese. What do you think of this recipe? What other vegetables would you substitute the spinach or tomatoes for?